Tiger Shroff’s Flying Jatt 11th day box office collections were very low as movie has completely crashed. Flying Jatt is worst performing movie in Tiger Shroff’s career ending even below Heropanti. 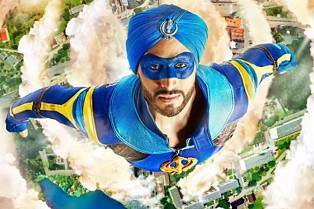 Flying jatt first week box office collections are 12th Highest of 2016 but for its budget it is low and is same as Tiger’s Heropanti and much lower than that of Baaghi. Flying Jatt Budget is 50 Crores all inclusive which is the highest costing movie for Tiger Shroff till now. Flying Jatt should do a minimum of 70 Crores business to be called a hit. Flying Jatt is a medium budget movie and is the biggest budget movie for Tiger Shroff till now.